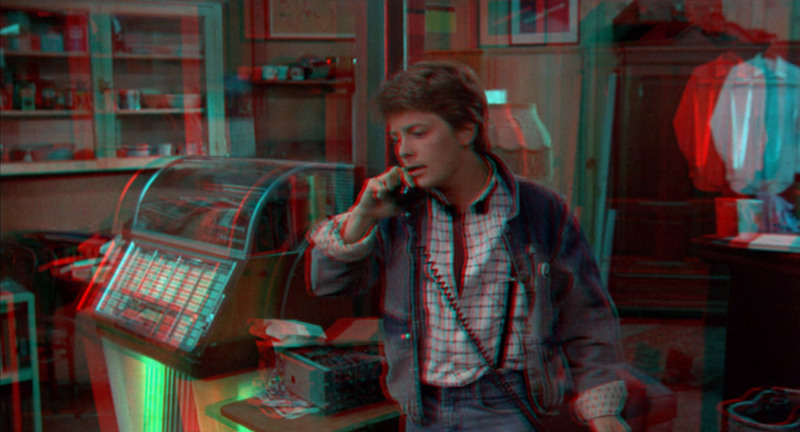 3D Manifesto explores the exciting world of Stereo-3D photography, as seen through the magical wonder tech of red/cyan 3D glasses. It's mostly a photo gallery, partly a blog, and very rarely updated. In my non-photo-hobby time I develop video games and VR experiences, independently and for clients. The Griffith Park tunnel has been used in a handful of movies, most notably in Back to the Future 2 for a hoverboard chase sequence. This photo was taken at the spot where Marty grabs the rope hanging from the flying DeLorean. It was also used as the entrance to Toon Town in Who Framed Roger Rabbit. Learn more about Griffith Park on Wikipedia. 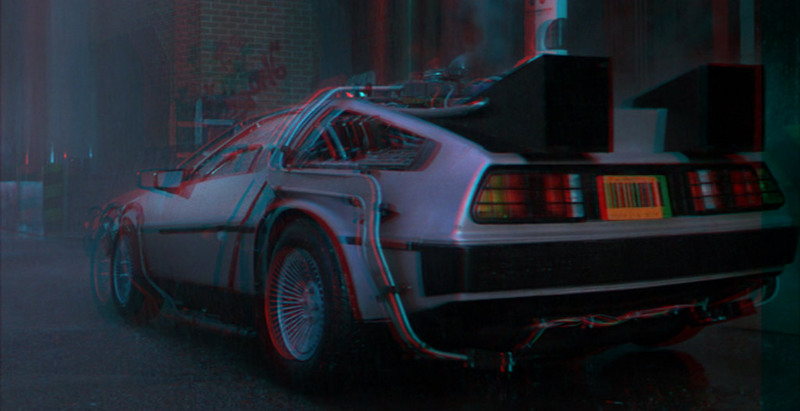 Speaking of movies I'd like to see in 3D, I thougt I'd do a roundup of some of the best (and only) "Back to the Future" inspired 3D imagery on the web. And while we're at it, we'll cover a few different methods for creating 3D images. If you have a scene on a DVD where the camera is panning sideways while the characters onscreen are keeping fairly still, then you can use nearby frames as the left eye/right eye parts of a single 3D picture. 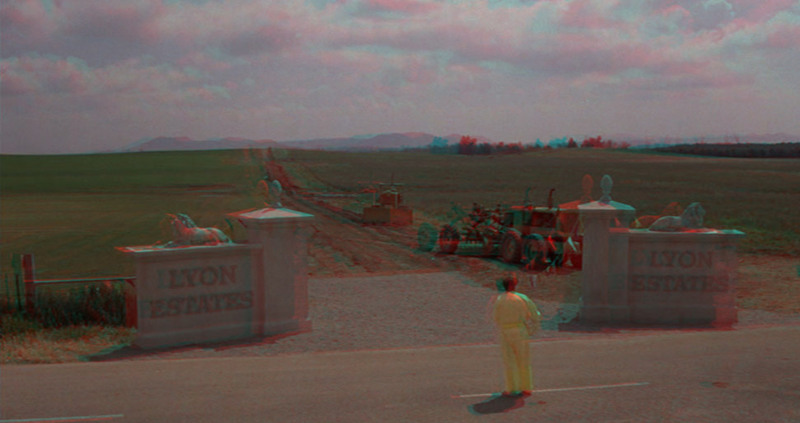 I love finding 3D images this way (see recent posts on Harry Potter and Ghostbusters). True 2D-3D conversions may be more rewarding, but they require a ton of skill and even more patience - this method is fast and fun (when you find a good one - results may vary). View the complete set of his movie/TV conversions at jessemazer.com. Now for one of mine: the McFly house at 9303 Roslyndale Ave in Pacoima, CA. This was a case of "accidental stereo" - two images snapped in a row while driving by. Shooting from a moving vehicle (with a camera!) is a great way to grab stereo pairs. If I had planned it better (or at all) I would have used a wider stereo base for more depth. Still, as an accidental stereo I'm pretty happy wth it. What good is the McFly House without a DeLorean? Click to enlarge. DeLorean images © 2010 Black Frog Industries, LLC. Used by permission. Moving into the land of miniature, we have this shot by Neil Nathanson, featuring four different versions of the Time Machine in scale-model 3D. Sweet! Image © Neil Nathanson. Used by permission. Click to view on Flickr. Too authentic for you? How about a tiny paper DeLorean? Syoichiro Nishimto brings this papercraft Time Machine to 3D life. Download your own papercraft DeLorean kit for free from Paper Inside. Image © Syoichiro Nishimoto. Used by permission. Click to view on Flickr. Image © Sascha Becher. Used by permission. Click to view on Flickr. Did I miss something that should be here? Let me know! Original content © 2010-2015 3DManifesto.com unless otherwise stated.